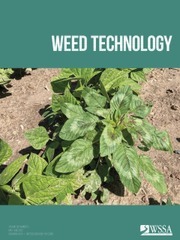 WSSA BROCHURE: The Public Awareness committee and the Professional Development committee have created a downloadable PDF describing the WSSA, the importance of WSSA and Weed Scientists, Careers in Weed Science and the benefits of membership. This attractive one page document can be printed for distribution to students and others interested in the WSSA (Click here to download the PDF). 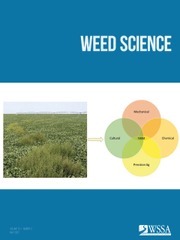 The Weed Science Society of America was founded in 1956. The Society was established to encourage and promote the development of knowledge concerning weeds and their impact on the environment. The business of the Society is guided by a constitution and is presided over by a Board of Directors selected from among the membership. The Board meets semiannually. The Society functions through the voluntary efforts of professionals who participate on committees and sacrifice of their time to serve the membership. Committees function throughout the year and make reports at the Society’s annual meeting. The Society provides a mechanism for recognizing scholarship in the Weed and Plant Science discipline. Members of the Society are encouraged to submit the names of colleagues who they believe set an example worthy to be followed and are deserving of recognition by the Society. 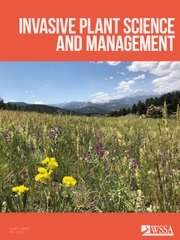 The Society publishes three professional journals: Weed Science, Weed Technology, and Invasive Plant Science and Management. Monographs, reference materials, and other research or educational aides are also produced from time to time. The Society’s annual meeting is usually during the first full week of February and is held at a different location each year in the United States or Canada. These meetings provide a venue for the exchange of research and educational ideas and for discussion and activity on Society business.